If you are into birdwatching and hunting you know the importance of having a quality pair of binoculars. There are so many binocular brands on the market today. Finding a pair that is affordable and provides quality optical performance can be tricky. 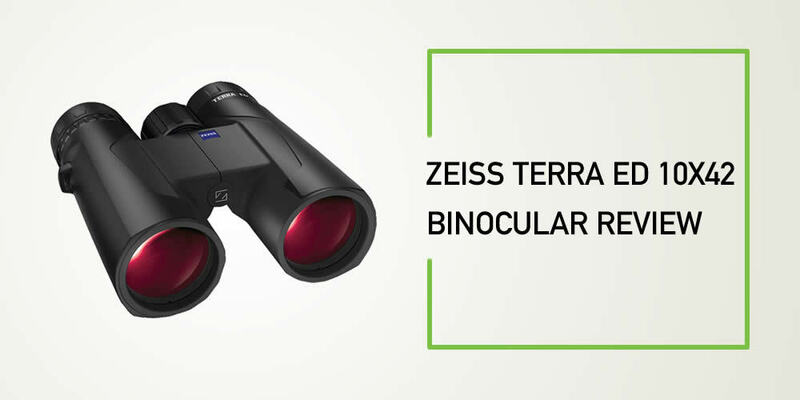 Zeiss helps you get a higher performance in the field by providing you with the Terra 10x42 ED Binoculars. This is a reasonably priced pair of binoculars that is compact in size. You can carry it in the field without much struggle. The binocular provides you with a perfect close focus distance that makes it ideal for hunting. It is designed with a quality ED glass that provides you with crisp and quality images. The binocular is completely fog proof and waterproof so you do not have to worry about the outdoor condition. This is one of the most affordable binoculars on the market with the most customer reviews. Find out everything you would love to know about this mid-priced binocular in this full review. It is designed with quality glass with a multi-layered coating to offer bright, crisp and clear images. Even in low light situations, you can still get quality images. The ED glass provides you with a high definition effect meaning that you will see the images as they are. This binocular has a close focus distance of 5.2 feet. You can get closer to 5.2 feet when you are viewing your object and still get clear and detailed focus. This feature makes the binocular the best companion for hunters and bird watchers. This binocular is made in China. In as much as it is made there, it follows the specifications of Zeiss and strict quality control measures. You do not have to be worried about the quality, Zeiss is a reputable brand and its standards are way above those of other brands. You will even get quality assurance when you buy this binocular. It is designed with a large focus wheel that provides easy access. It is also designed with comfortable eyecups that enable you to view easily. This entry-level binocular provides you with a field of view of 330 feet- 1000 yards. This is an important feature to check when purchasing a binocular. You want to buy a durable pair that can serve you for many years. This is why this model is designed with an aluminum housing that not only makes it lightweight but also durable. The binocular is lightweight and compact to ease mobility. This is another great quality of this binocular. It is designed with a large center focus knob making it comfortable to use with your thumb or index finger of both of your hands. You will also love the smooth and fast focus mechanism. The binocular features depressed patterns on the top and the bottom of the body that fits perfectly well on your fingers and thumbs. Q: What is the maximum pupil distance of the binocular? A: In regards to the information provided on Zeiss website, this binocular has a maximum pupil distance of 76mm and a range of 57.5-76mm. Q: What is the magnification of the binocular? A: This binocular has a magnification of 10x. Q: Where are these binoculars made? Are they fog proof and waterproof? A: IAccording to Zeiss, the binoculars are made in China. They are fog proof and waterproof. I would frankly say that this is the best binocular on the market today. 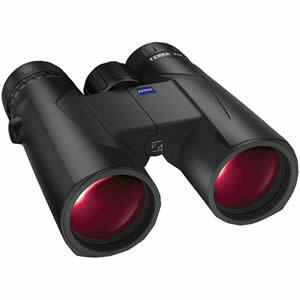 It gives you the performance and quality of binoculars that cost 5 times more. The binocular is designed well and it is easy to use even when you are wearing glasses. Most importantly, it is easy to focus and has an incredible clarity. Comparing all the features of this binocular, you will realize that it competes well with other binoculars in its price range. Improve your bird watching hobby with this binocular and am sure you will love it.